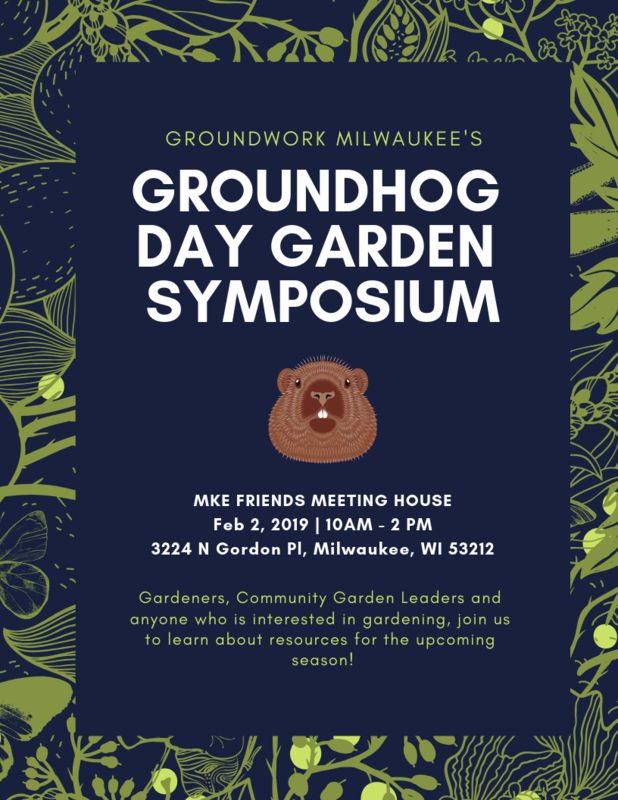 Each year Groundwork Milwaukee hosts the Groundhog Day Garden Symposium. This year’s event was held on Saturday, February 2, at the Milwaukee Friends Quaker Meeting House. Groundwork Milwaukee welcomed community members, partners, and gardeners for a day of information sharing in preparation for the upcoming growing season! The day started with a few words from the Groundwork Milwaukee team highlighting our 2018 accomplishments. 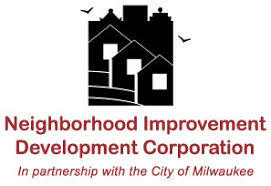 Next on the agenda was Angela Mitchell from the Neighborhood Improvement Development Corporation. 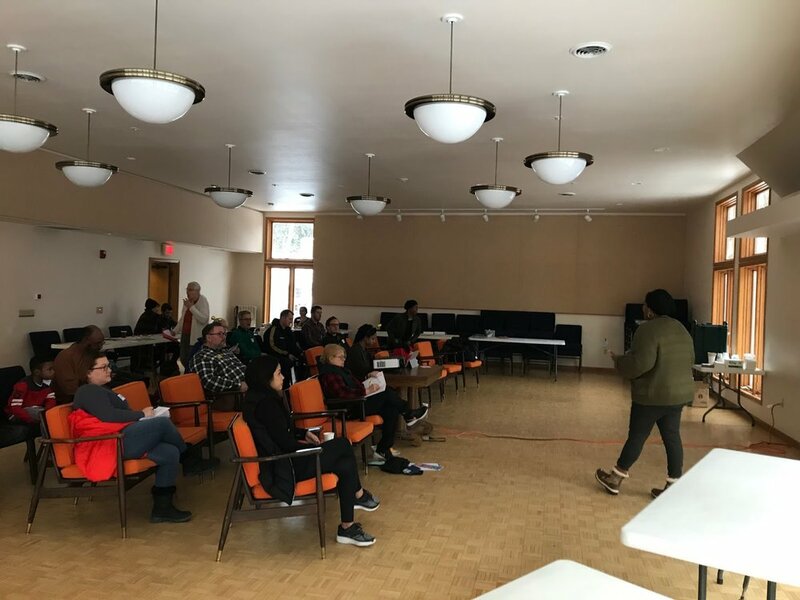 Angela hosted a Community Improvement Project (CIP) informational session which equipped listeners with the necessary tools to obtain grant matching and execute CIPs in their neighborhoods. Lastly, we heard from Andre Lee Ellis, Founder of We Got This and longtime friend to Groundwork Milwaukee. Andre shared the importance of this program for local young men who have the opportunity to clean their neighborhoods, learn about gardening, and create relationships with positive male role models. To close the day, Groundwork Milwaukee organized a resource fair which hosted community partners. 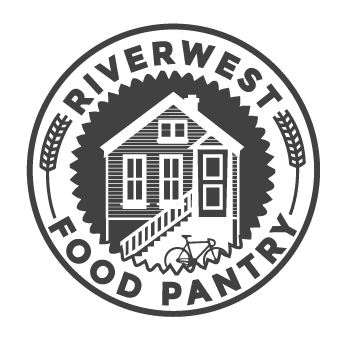 Some of the most visited tables included BeeVangelists, Kompost Kids Inc., and Riverwest Food Pantry. 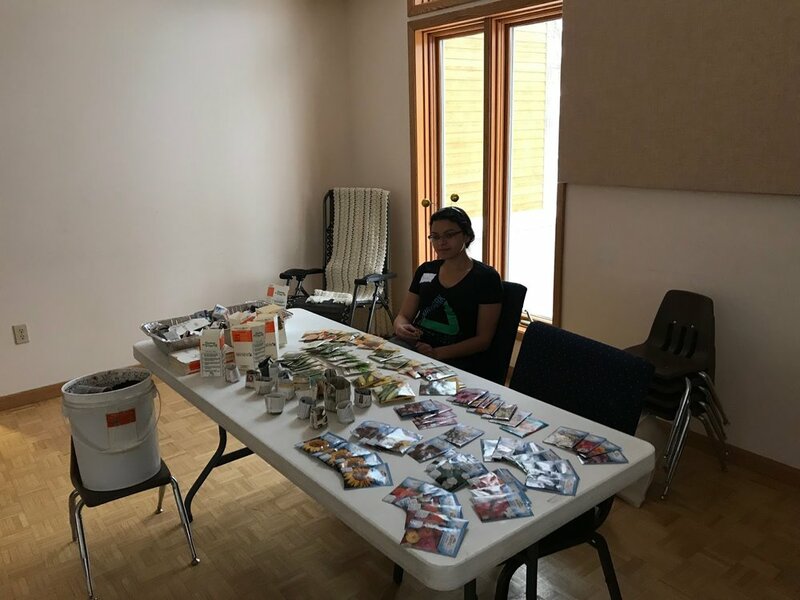 There were also tables on a variety of topics from permitting and paperwork to seed planting, and even an organic seed fundraiser. Groundwork Milwaukee is grateful for the opportunity to continue to host this event and make connections with community members. Thank you to all who joined us for this event. A special thanks to our guest speakers, community partners, and vendors for helping us host such a successful event! If you’re involved with community gardening or thinking about getting involved, and you missed the Garden Symposium, please contact us at Info@GroundworkMKE.org.